A man was killed after being hit by a vehicle Saturday in West Lawn on the Southwest Side. 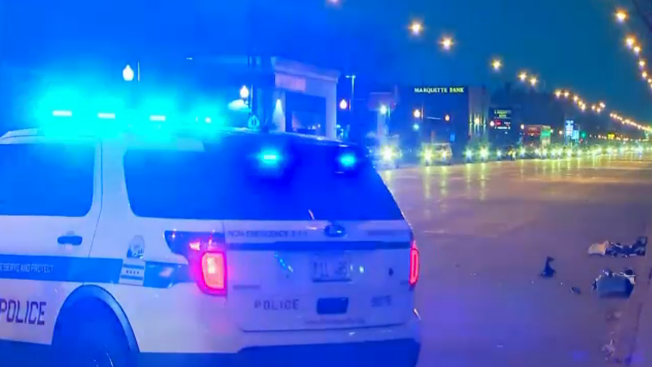 The 54-year-old was southbound on a motorcycle in the 6000 block of South Pulaski Road about 3:17 a.m. when he was hit by a black Mercedes exiting a restaurant parking lot, Chicago police said. The man was taken to Christ Medical Center in Oak Lawn where he was pronounced dead, police said. The Mercedes drove off west from the location. Chicago police’s Major Accidents unit is investigating the crash.